The Oppo N1 camera has a 1/3.06" CMOS sensor of 13MP resolution. The lens has a bright F/2.0 aperture and a 6-element design. The Nokia Lumia 1020 has a 6-element lens as well but it's got a smaller F/2.2 aperture. 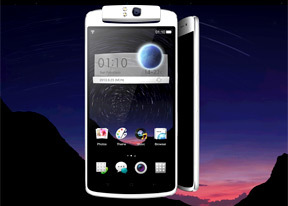 The Oppo N1 uses a custom image processor co-developed by Oppo and Fujitsu. Oppo is promising it has solved common camera problems like pink spots and purple fringing. And indeed, we didn't see any of those. The interface has two control sidebars in the viewfinder, the right one holding the still and video buttons and gallery shortcut, while the left one is for settings, flash and scene selection. The standard way of accessing recently snapped photos - a left swipe - is available here too and you can swipe up to delete photos straight from from the viewer. On the screen there's a little three dot toggle which will guide you through the different shooting modes - Beauty, Panorama, HDR and Normal. The camera also allows for longer than usual exposures - up to 8 seconds actually (the 1020 does only 4 seconds). The camera is quite quick to start and take photos. Rotating the camera unit around would automatically launch the camera app too. Beauty mode will snap a photo of a person, preferably in portrait mode. 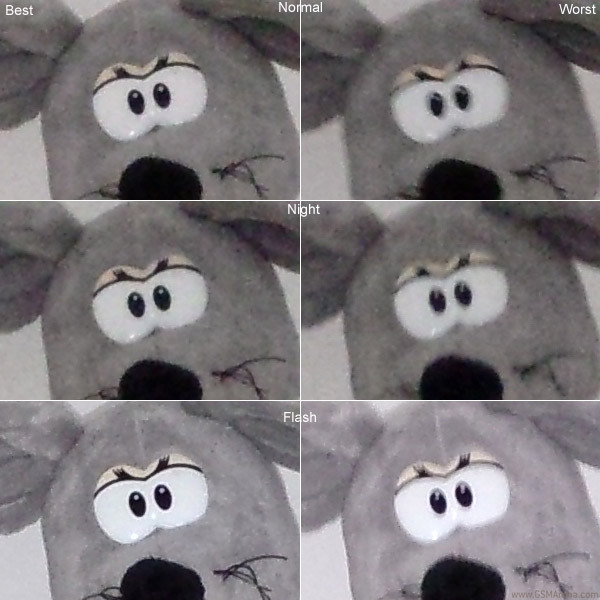 The mode removes imperfections like skin lines, facial hair, etc. Then the app gives you various makeup options. It detects eyes and mouth but you can fine tune them if the app gets them wrong. It's more of a fun app than useful. Most results we got were a little over the top - as if deliberately created to be funny. The Oppo N1's camera captured nice photos although the levels of resolved detail are not stellar. The colors look accurate and contrast is also good but there's a lot of visible noise. On the positive side, it's only of the luminance type. Also some images suffered from random soft spots, while others came out entirely blurry - so far we haven't been able to track the issue and the reason for it. Macro shooting is good on the Oppo N1. It captured a lot of detail and blurred the background nicely to create a true macro feel to the image. Check out some full-res samples below. Next, we come to the Panorama shooting mode. Unfortunately, the Oppo N1 is really bad at capturing panoramas. Images have abysmal levels of detail and stitching artifacts are clearly visible all over the images. There is also a nice HDR mode on the Oppo N1. It snaps several shots of the same scene with different exposure settings and then combines them into a single image. Here are two samples in full-resolution. 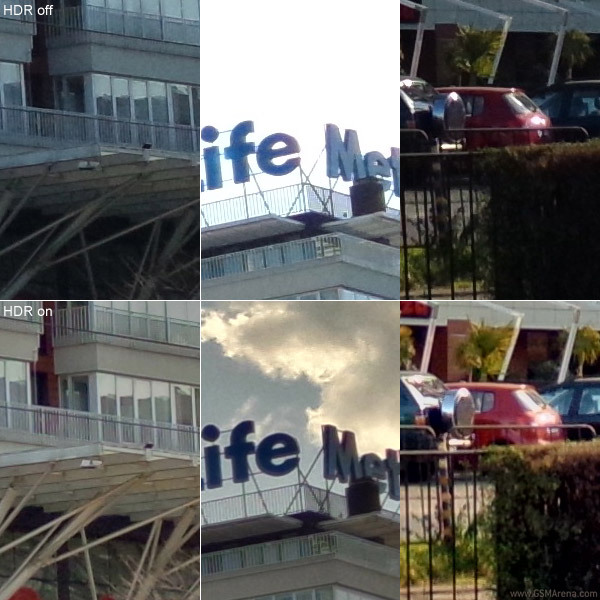 Looking at a 100% crop from the Oppo N1's HDR samples, you can see the benefits of shooting this way. In this mode the smartphone clearly does a better job of exposing correctly the extreme tones (like the area of the sky and the darker places). Another good thing is that the HDR images come out natural without excessive tonal contrast. Moving on to low light photography. The Oppo N1 makes use of two LED flashes. What's interesting about them is that they never shoot simultaneously. Instead, one is a bright LED for regular shots (when the camera is pointed back), while the other has diffused properties. When you turn the camera beyond a certain angle, the phone switches automatically to the diffused one so your selfies turn out with a more pleasing skin tone. We did a little test in a low-lit room with the Oppo N1 to gauge its performance in such conditions. We're glad to say that low-light shots don't come with a big penalty in image quality, which is good news altogether. However,make sure you keep your hands steady after it gets dark, as there is no optical image stabilization on this one. We set up our dark scene. In Normal mode, the camera chose an ISO value of around 600 and an exposure time of 1/17 seconds. Switching to Night mode almost doubled the ISO to up to 900-1000 and hence the exposure time got shorter down to 1/33 seconds. Finally, we shot the same scene with the Oppo N1 LED flash - the camera went back to what is obviously its slowest possible shutter speed of 1/17s, but this time the light was enough for an ISO below 300, producing a much cleaner and detailed image. To put those results in perspective we tested the Oppo N1 against the Samsung Galaxy Note 3. The Note 3's results look smoother but actually carry less detail. But because of the noise-suppressing algorithm there's also less noise. We found the dual LEDs on the Oppo N1 to be a little stronger and to aid better and more natural-looking results. Here are the full resolution samples of the Oppo N1's best normal, night and flash efforts. And here are those of the Samsung Galaxy Note 3. 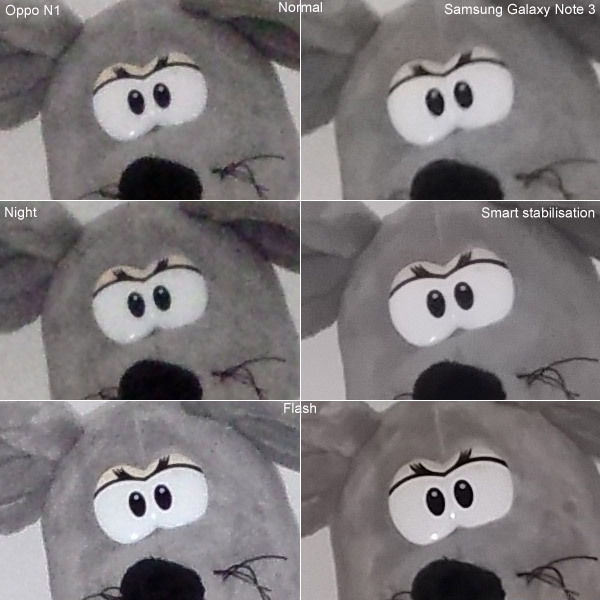 The Oppo N1 enters our Photo quality comparison tool to compete against two of the finest 13 MP snappers we've had in the office - the Samsung Galaxy S4 and LG G2 but feel free to pick any other adversaries. The Oppo N1 is capable of 1080p video capture at 30 frames per second as well as 1080p high dynamic range video and slow-motion WVGA video. The normal mode of capture resulted in a video with average levels of detail and pleasant colors. The video produced a rather poor bitrate of around 9 Mbps. We guess if Oppo had increased the bitrate, the phone would have captured more detail. Framerate hovered around 27fps and the video was a little choppy at times while audio bitrate was 157 Kbps with 2 channels (read, stereo) and a 48 kHz sampling rate. HDR video shares the same credentials as the normal one but adjusts the exposure a little differently, resulting in a little less contrast in the scene. The level of captured detail is about the same, but the HDR video is again, a little choppy. And finally, there is the slow motion capture. Unlike the Galaxy Note 3, which captures slo-mo clips in 1280 x 720, the Oppo N1 can only go up to 800 x 480px (WVGA) but the perceived detail is a lot less than that. There's hardly anything sharp about these videos - check a sample below. You can find an untouched 1080p video sample (00:10s, 11.6 MB) for direct download. To greet the Oppo N1 in our Video quality comparison tool we've lined up the Nokia Lumia 1520 and the Samsung Galaxy Note 3 but you can also pit it against the HTC One Max, Sony Xperia Z Ultra or any other device you wish.